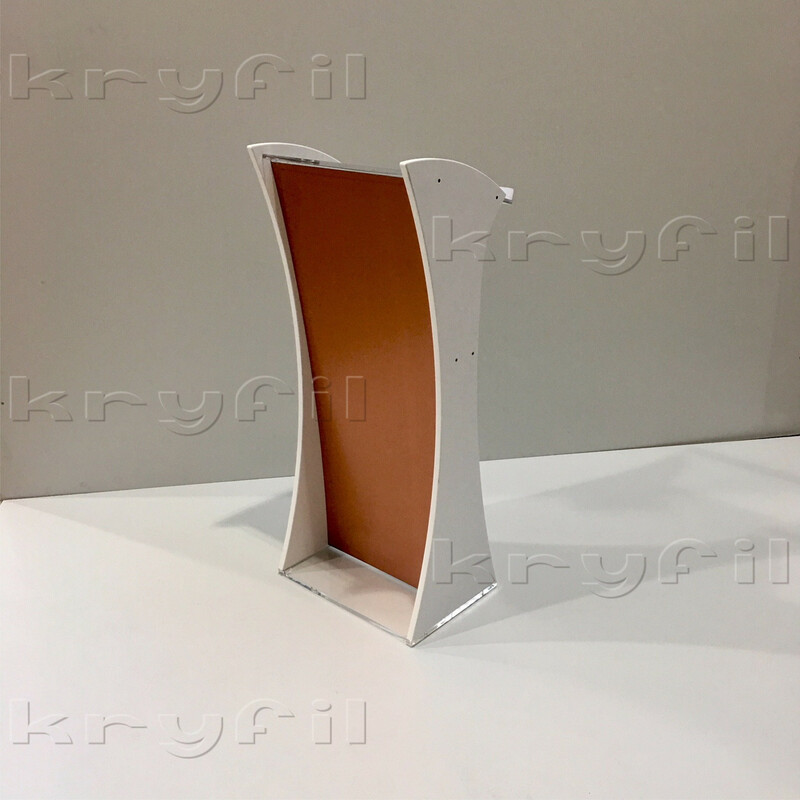 Lightweight and economic lectern made of Opaque white PVC and copper-colored Dibond front. The Copper stand stands out for its light design, at the same time consistent, with the elegant touch of color of its copper-colored metallic front, allowing a comfortable reading for any speaker or speaker. 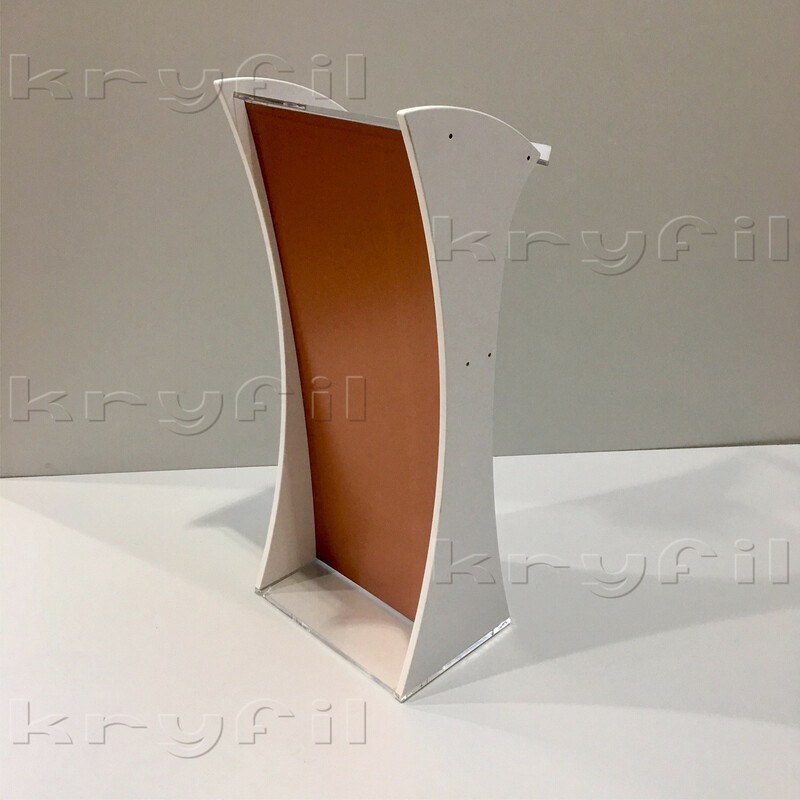 Lightweight and economic lectern made of White PVC and Dibond Copper. 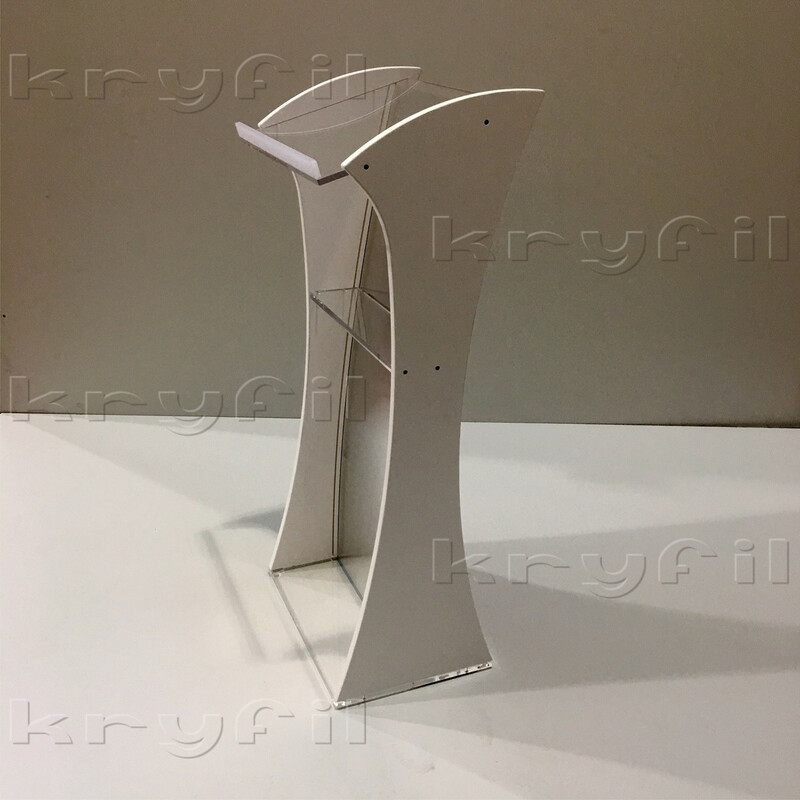 Light and economical design lectern with a combination of materials with soft and straight curved lines, robustness and elegance, which combines well in any environment, halls and conferences, colleges and universities, events and presentations of any kind, hotel receptions and restaurants , etc. This lectern is one of the most attractive models in terms of its quality-design-price ratio. Sides in White opaque PVC Foamed 20 mm thick. Metal front in Dibond 3 mm brushed COPPER color. Large front area for personalization. Table and lower base of transparent methacrylate 15 mm thick. 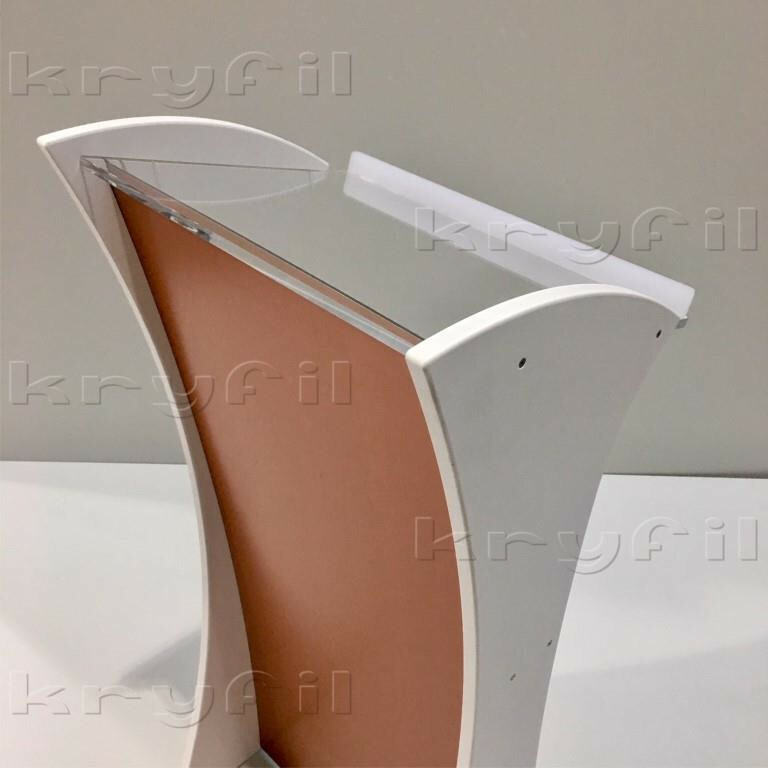 POSSIBILITY OF MANUFACTURING THIS SAME MODEL OF LECTERN WITH ANOTHER COMBINATION OF MATERIALS AND COLORS. Consult us! 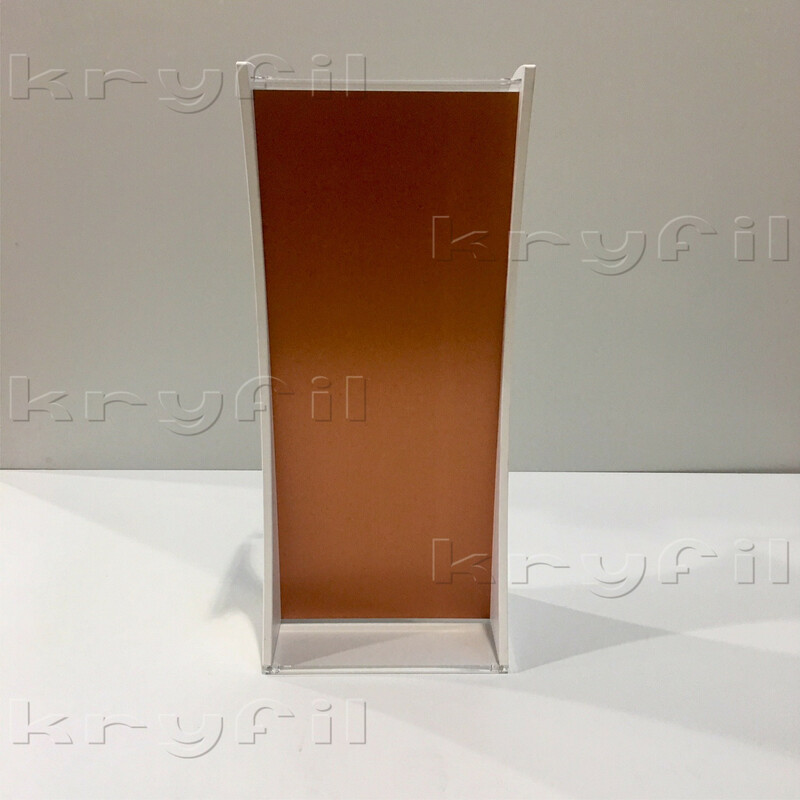 This lectern is manufactured following the highest quality standards and with materials from the best brands, Repsol, Altuglas-Sunclear, Irpen, Plexi, etc.